It's that awkward time of the year between New Years and St Valentine’s Day where Megan and Harry photos are everywhere and the vast majority of the population are royally failing at the detox whilst panicking out the 'plus one'. Whichever route you decide to go down, our beautiful city boasts some of the most picturesque and desirable hot spots in the world and it would be a shame to waste them. I strongly suggest that you select one of my carefully chosen venues for the most romantic day of the year. Nothing quite says 'I love you' like a Rosé Champagne Afternoon Tea at The Ritz. Treat the special person in your life to an unforgettable experience in the exquisite Palm Court. Soprano Miranda Heldt will perform operatic melodies, creating a romantic ambience for your special day. Choose from a variety of 18 loose-leaf teas and indulge in a selection of delicate finger sandwiches, freshly baked scones and a mouth-watering range of pastries. You will also receive a beautiful red Ritz rose to take home with you. Priced from £90 per person including a glass of Rosé Champagne. This year, in celebration of Valentine’s Day, Hotel Café Royal will offer an exclusive rose edition of its diptyque Afternoon Tea. The tea was created in collaboration with the globally renowned French perfumer, and will offer a selection of beautifully crafted pastries (including a special Rose pastry, made with raspberry, lychee and rose) that use the flavours and ingredients found in some of diptyque’s most iconic scents. Throughout the run of the Valentine’s diptyque Afternoon Tea, guests will receive a beautifully packaged Rose candle, in place of the Baies candle offered with the regular diptyque tea. Some lucky diners will be able to take an even sweeter experience home, as they will receive an exclusive Rose Delight limited edition candle, which itself is inspired by the finest confectionery and contains rose petals, honey and lemon zest. diptyque Afternoon Tea with diptyque candle: £45. Step into the tranquil setting of COMO Shambhala Urban Escape this Valentine’s Day. Choose between two romantic wellness experiences so that you can give your partner a thoughtful and meaningful present this year — one that allows you to spend time together in relaxing, candlelit surroundings. All couples will receive a complimentary massage oil of their choice to take home. 'Love From COMO Shambhala' is the experience that begins with a soothing ginger tea, followed by a nurturing 75-minute COMO Shambhala Massage in the couple’s treatment room. This oil-based massage has been finessed over 20 years, and is carefully designed to calm the mind and gently rejuvenate the body. £250 per couple. 'All About Us' is the experience that allows you to choose the wellness treatments that suit you as a couple. You can enjoy a combination of any of the spa massages, facials and body treatments for two hours, in the double treatment room. £390 per couple. Available 5:30pm – 10:30pm, on Wednesday 14th February only. If the prospect of dinner or the cinema fills you with dread, fear not. Why not get to know your date over a few exquisite cocktails at The Ivy Soho Brasserie? Situated on Broadwick Street, this lovely spot is in the heart of London’s Soho. Adorned with artworks inspired by William Blake (Broadwick Street’s most famous resident), the space is made up of Brudnizki Studio designed restaurant, bar, private dining room and terrace with Parisian-style seating. The Aphrodite cocktail is just what you need to get yourself in the romantic mood this Valentines Day. Beautifully dressed in gold & with a heart of frozen cranberry, Beefeater gin, fresh pink grapefruit juice & home-made pomegranate syrup topped with Prosecco, £10.50. 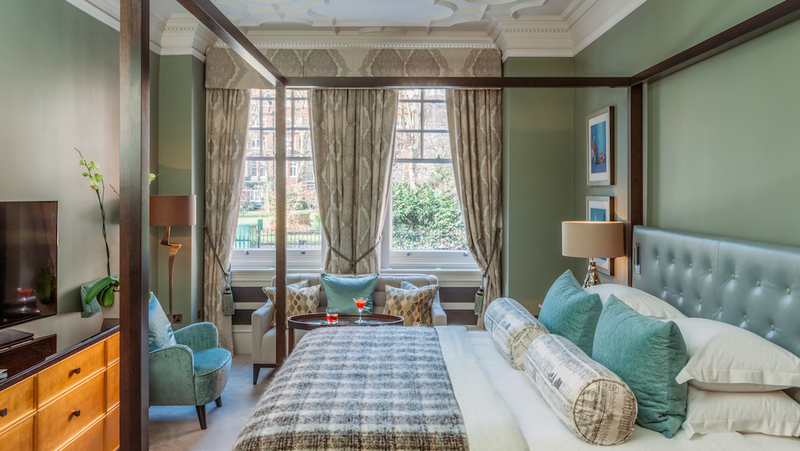 Treat yourself and your loved one to a romantic Valentine’s break at Chelsea favourite 11 Cadogan Gardens, relaxing in the luxurious comfort of a fabulous suite. The special Valentine’s 2018 package includes luxurious overnight accommodation for two in a Junior Suite or above, a bottle of champagne, a bouquet of beautiful flowers and that all-important full English breakfast. 45 Park Lane’s new Romance package includes a luxurious overnight stay for two with English breakfast, a bottle of champagne on arrival and a beautiful bouquet of flowers by in-house designer florist, Philip Hammond. For an extra special touch, a bespoke amenity awaits the couple each evening on turndown. 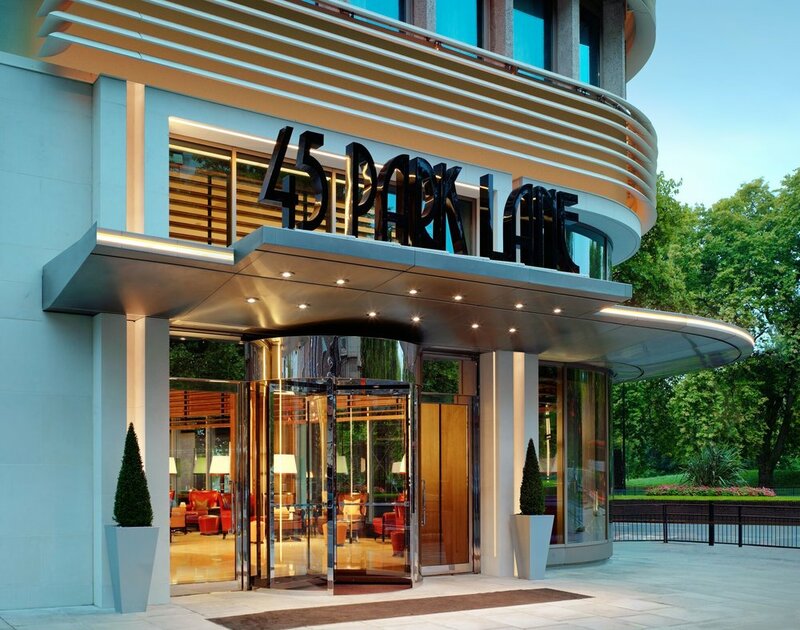 “Romance at 45 Park Lane” is priced from £866 for a Park View Studio. A Valentine’s Oyster Masterclass with Master oyster shucker Helio Garzon will be held on Sat 10th Feb – guests will shuck and taste oysters with Champagne and learn valuable tips on serving the ultimate aphrodisiac (£65 pp). The Seafood Cookery Class on 17th will cover Irish classics and is the perfect alternative to a candle lit dinner, £250 per person. A three course Valentine’s Day menu includes dishes such as Lobster Lasagne, Oysters, Dover Sole with lobster and Scallops with blood orange and salsify to name a few. Priced at £85 per person, it’s available in the Grill.